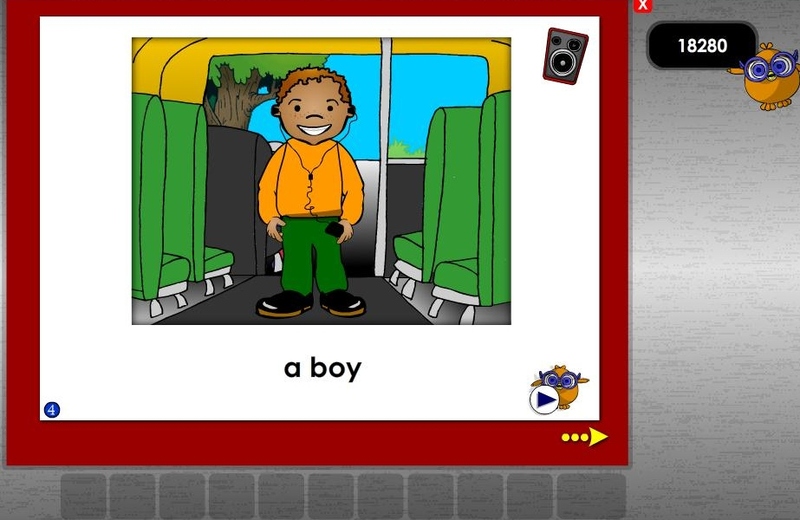 Reading Kingdom is an online, interactive reading and writing program developed by Dr. Marion Blank, the director of the Light on Learning program at Columbia University in New York. Reading Kingdom teaches children ages 4-10 how to read and write up to a third grade level and is able to customize itself to each individual child. 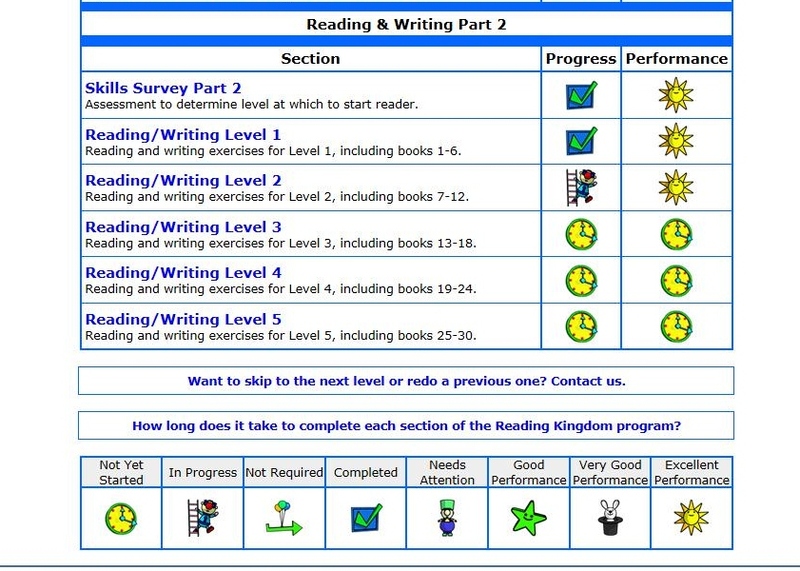 Reading Kingdom's success is based on its patented 6 skills: sequencing, motor skills, sounds, meaning, grammar, and reading comprehension. This approach "incorporates elements of phonics and whole language while teaching additional skills required for reading and writing success without requiring kids to learn any complicated rules." This program is designed to work best with children in preschool up to third grade. Struggling readers or children with learning disabilities can benefit from this program as well. Reading Kingdom can be used alone or as a supplement to an existing curriculum. Here is a short, helpful video that gives an overview of Reading Kingdom. 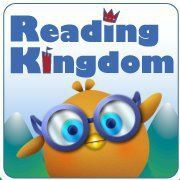 Reading Kingdom can be used by anyone involved in educating children - teachers, parents, homeschoolers, etc. If you are a teacher interested in checking into this program, you can view the teachers' page to see if it would be a good fit for your classroom. For parents and homeschoolers, you can visit the parents' page to see if Reading Kingdom would be a good fit for your child/ren. Since I will be writing from the viewpoint of a homeschooling mom, I will expound on the parents' page in the following section. When you visit the parents' page, you will be able to find out if your child is ready to start reading by answering 4 simple questions. If you answer YES to all 4 questions, you can proceed to the Getting Started with Reading Kingdom page. If your child is already reading, you can skip the questions and go ahead and get started. First, you will see a checklist of things you will need. Basically, the two most important items are a computer with a mouse and an Internet connection. The mouse is important because it is easier for your child to use. I tried having my daughter use the trackpad on my laptop, but it was too difficult. You also need a web browser and the free Flash player. (All of this information is on the website.) It's also important that your child has a quiet place to work in order to be able to hear the computer (Lingo the Owl) "talk" to her. Next, you will need to sign up for the free trial and add a reader account for each child who will be using the program. 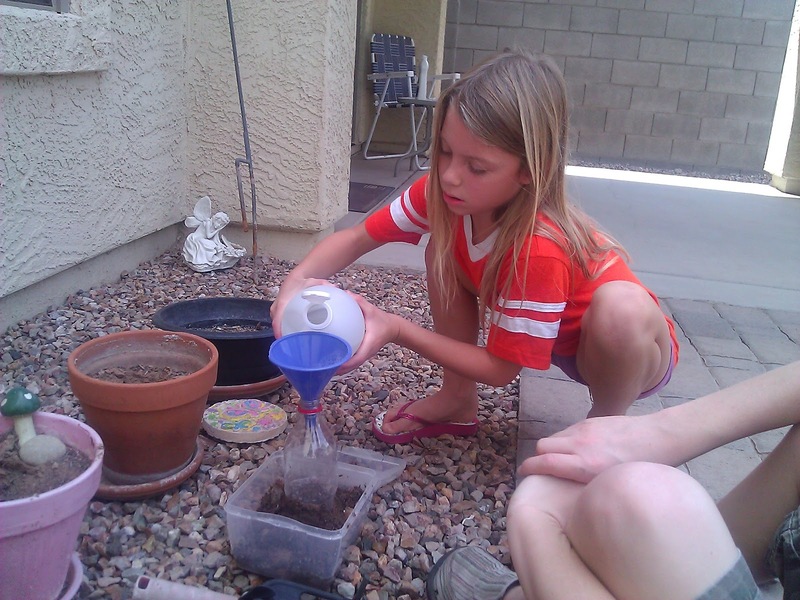 The program will evaluate your child's skills and then start her off at the appropriate level. The free trial ends after 30 days. If you'd like to continue with the program, subscriptions to Reading Kingdom are $19.99/month with no monthly minimum. Or, pay for an entire year up front for $199.99 - a 20% savings. Additional children can be added to your account for $9.99/month or $99.99/year. Subscriptions can be cancelled at any time. How long it will take your child will depend on her starting level and how well she does during the sessions. If your child starts at the very beginning (preschool level) and is doing at least 4 sessions per week, it could take up to 15 months to complete. A child who can already read may be able to finish in 3-6 months. It really does depend on your particular child. When I first took a look at Reading Kingdom, I thought it was going to be more about reading than writing and spelling. My daughter, who turned 7 in June, can already read well. I figure she is reading at a third grade level or higher, so I thought the program would customize reading material at the highest level, which is third grade. 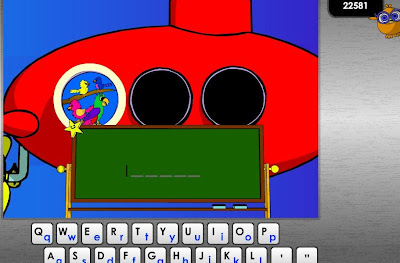 However, when she took the first skills test to determine her appropriate level, it placed her in Letter Land. I am sure this was due to a few typing (using a mouse to click on an on-screen keyboard) errors on her part, but I was still surprised by the placement. We tried to start there, but it was too boring which led to frustration on her part. 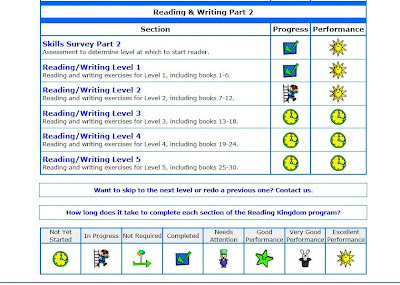 Fortunately, when I contacted someone from Reading Kingdom, my daughter was able to be moved to the next level, Reading/Writing Level 1. *A quick note about the reading/writing levels before I move on - there are 5 levels with 6 books in each level. All the words contained in a book are learned by the time your child gets to that book. My daughter's first session only took about 5 minutes. She had to read and type words like some, boys, kids, and girls. She gave me that look like I already know how read this. She had to fill in the missing letters here. She had to spell birds here. This method is great for a spelling program, but in my opinion, it's not great for getting kids excited about reading - at least not for kids who can already read but may not be able to spell as well as they read. 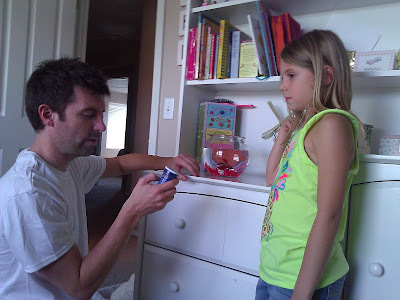 After the first few lessons I realized that this program wasn't going to be a good fit for my daughter because of the way I taught my children to read. I have taught all 3 of my children to read at an early age using phonics with the help of 70 phonogram cards and about 28 rules. All of my children became strong readers by the end of first grade but none of them were strong spellers. My daughter just started second grade and is reading chapter books, but she can't spell all of the words she can read. As you can see she has no problem doing well in this program; it's just not rewarding for her to do all of that work to get to a book that she could have already read beforehand. In this program it is essential for a child's ability to read and spell to be at the same level. It seems like this method would have the potential to hold back a child in the area of reading. I would rather my child be able to read at a higher level knowing that spelling will eventually come later. I can't say from experience, but I think this program would work better for children who don't know how to read yet. That way they could start from the very beginning. I still think I like the old fashioned way of teaching reading through phonics and rules. I like being able to help my daughter with a word she can't pronounce by being able to explain how to sound it out. I have never felt bogged down by too many rules with my methods of teaching reading and spelling. When I asked my daughter if she'd like to continue working on Reading Kingdom, she said she really didn't want to because it was too boring. To her it's more about spelling which isn't as exciting as reading. Of course, this is just one child's experience - please see what other Crew Members had to say about Reading Kingdom. Everyday Homemaking has generously offered the Schoolhouse Review Crew the opportunity to review either The Everyday Family Chore System or Everyday Cooking. 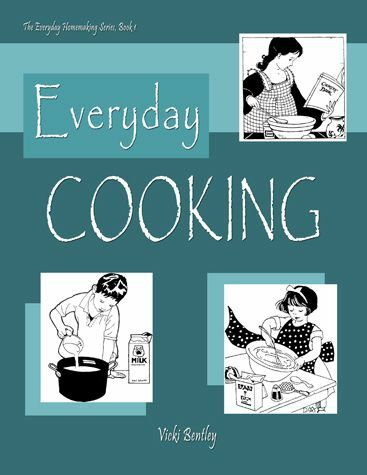 I was chosen to review Everyday Cooking, the e-book version. , If there's anyone who knows what it's like to be a busy mom, it has to be Vicki Bentley, author of the cookbook, Everyday Cooking. I was absolutely astonished when I read that she is the mother of 8 daughters and foster mom of over 50 children. And get this, she homeschooled 17 of them. Now that's what I call BUSY! Everyday Cooking is chock-full of time-tested recipes with an emphasis on incorporating whole foods into your diet. Although there is an emphasis on whole foods, I wouldn't call it a whole foods cookbook. This cookbook is very versatile and can be used by anyone whether you are into healthy eating or not. For some of the unhealthy ingredients such as white sugar and other processed foods, there are suggested alternatives. Vicki personalizes her cookbook with tips on making some of the recipes healthier, choosing cookware, baking homemade bread, planning meals, and saving time. I really enjoyed reading about using and purchasing a grain mill as this is something I would love to have one day. Besides recipes and helpful tips, the cookbook includes reproducible menu form pages, and a basic cooking skills checklist. One menu form has enough room for a month of meal planning. I am happily using the forms and have them hanging on my fridge. The basic cooking skills checklist was created for Vicki's daughters and independent living class students. There are over 60 listed skills - the following screen shot shows an example. This was a super easy recipe that my daughter was able to help me make. It was just okay, but I think that was my fault for not using a sweeter juice. Two out of three of my kids liked it, and I did eat some, too. :) It's great for snack time! I made these for a family get-together. The dough was a bit tough to form into balls, but they turned out fine. 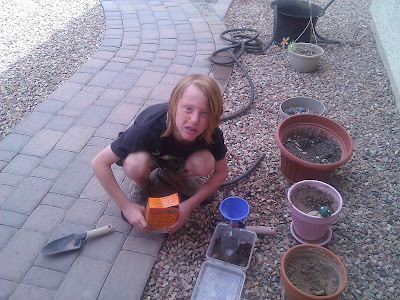 My middle son and I ate our fair share for sure! Wow, this was a real hit at our house! 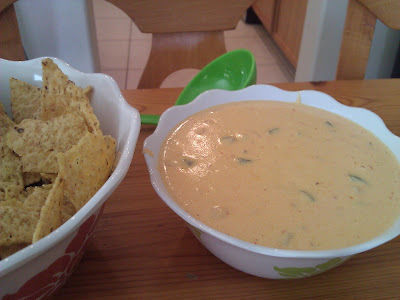 What I loved most was Vicki's tip on how to make your own healthier version of nacho cheese, an ingredient in this dip. My oldest son and I added a few more spices to the recipe to give it a little more flavor. It was very delicious. 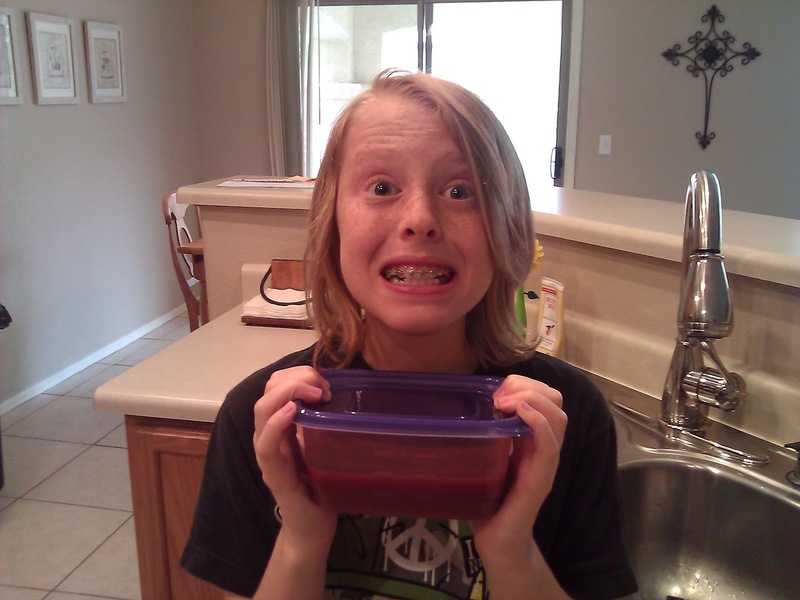 My amusing middle son likes barbecue sauce, so he made this recipe all by himself. It's a little on the sweet side, but he loves it, especially on chicken. 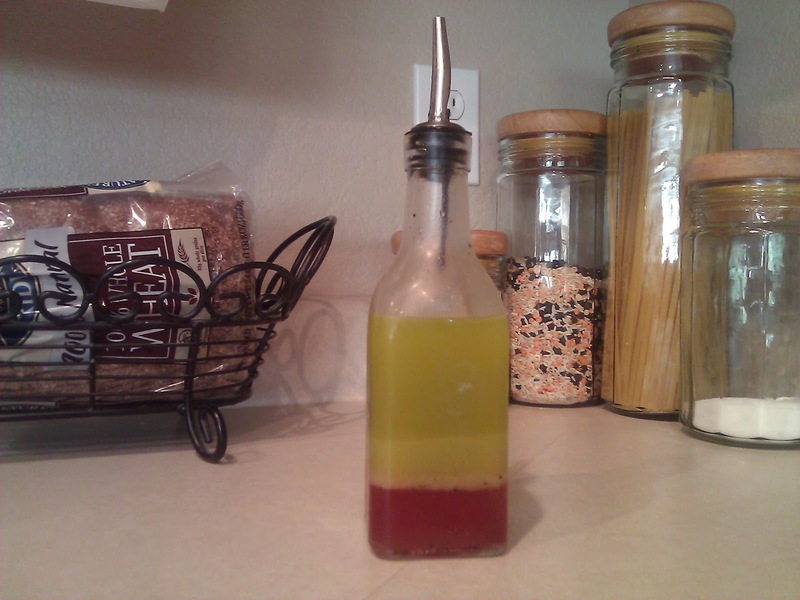 We like to experiment with making our own healthy salad dressings, and this one is simple, light, and tasty. This is definitely my favorite recipe we made! I don't think my family will ever let me make normal chocolate chip cookies again. We shared some with friends, and they loved them, too. It made a lot of dough, so I was able to freeze some for later. Also, the original recipe calls for lots of nuts, but I made some with nuts and without nuts. 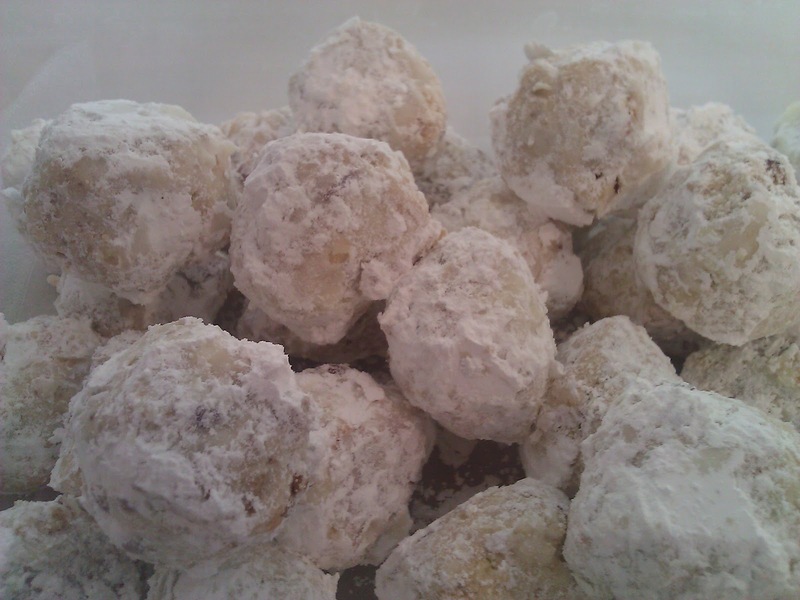 In one batch, I even added shredded coconut which was very yummy. When it comes to my everyday cooking, I really don't follow a lot of recipes, and I already make quite a few of my own seasoning mixes. It's so nice, though, to have some fresh recipes on hand to add to the mix! I think I counted close to 160 recipes in this cookbook. Here are some others that I haven't made but look forward to making in the near future: House Salad Dressing, Sweet Rolls, Dinner Rolls/Sandwich Buns, Bekah's Blueberry Buckle, Do-Ahead Coffee Cake, Easy Pizza Dough, Red Beans and Rice, Spaghetti Sauce, and Fajita Marinade . . . just to name a few. A preview of Everyday Cooking can be found here. You will be able to see 12 pages of the cookbook including the Table of Contents. This is a great way to see all of the recipes listed before you decide to purchase. 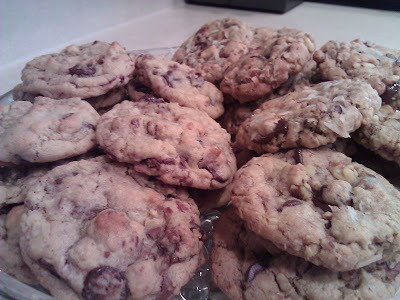 You can also access sample recipes to try for free. I really love the photos provided here. Mmmm, I sure wish I had one of those Sweet Rolls right about now! Overall, I like Everyday Cooking and have very few complaints. I like the variety of choices and all of the personalized tips. The menu forms are handy, and I will definitely go back to her grain mill tips once I am ready to purchase a grain mill for myself. However, I wish there were more pictures of the recipes - I am very visual when it comes to cookbooks! Also, never having viewed a cookbook as an e-book, I didn't realize that it would be a little inconvenient scrolling through recipes instead of being able to flip through pages. It's really not that big of a deal, though, just a personal preference, I guess. As I find a recipe I might like to try, I print that particular page and then keep all the pages together in a folder which works just fine. Take a moment to meet Vicki and check out her website! 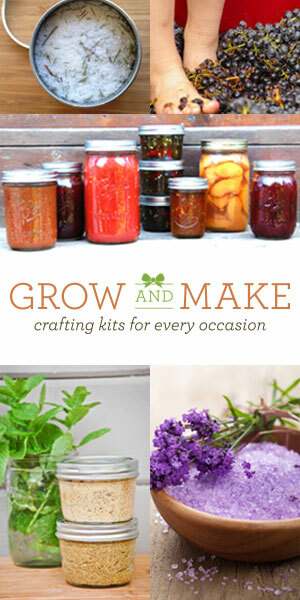 Her website, Everyday Homemaking, is a great resource! It's brimming with practical ideas and tips on homemaking, homeschooling, and more. You can see a step-by-step tutorial for Vicki's bread recipe (lots of pictures to see), view other recipes, and read various articles about homeschooling and homemaking. My goal is to make time to bake Vicki's bread - it looks so perfect and delicious. I better save up for some better kitchen equipment! 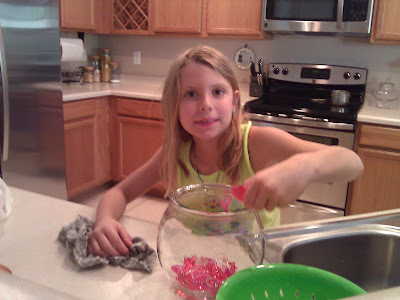 *See what other Crew Members are saying about Everyday Homemaking. Pin It Now! Fire sort of fizzled. :( But don't worry, Lightning has struck! Anyway, I kind of thought something was wrong with Fire before we even put him in Shiloh's bowl but not knowing anything about fish, I didn't really give it much thought. I asked Shiloh if she'd done anything strange to it during her rest time, and well, you won't believe what she did. She said she read the Bible to him. Ezra of all books. Wow. Other than that she said she just watched him. My. Poor. Baby. 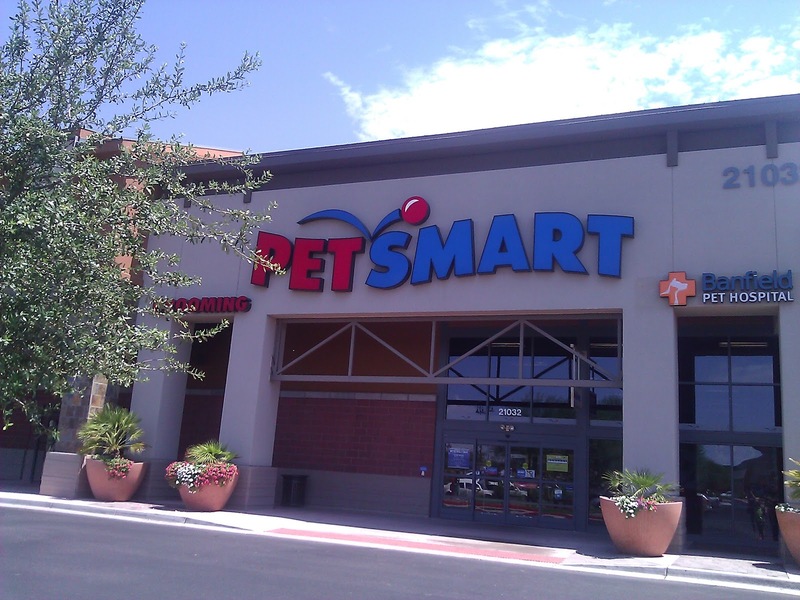 Daddy took her and the deceased Fire straight back to Pet Smart for an exchange. 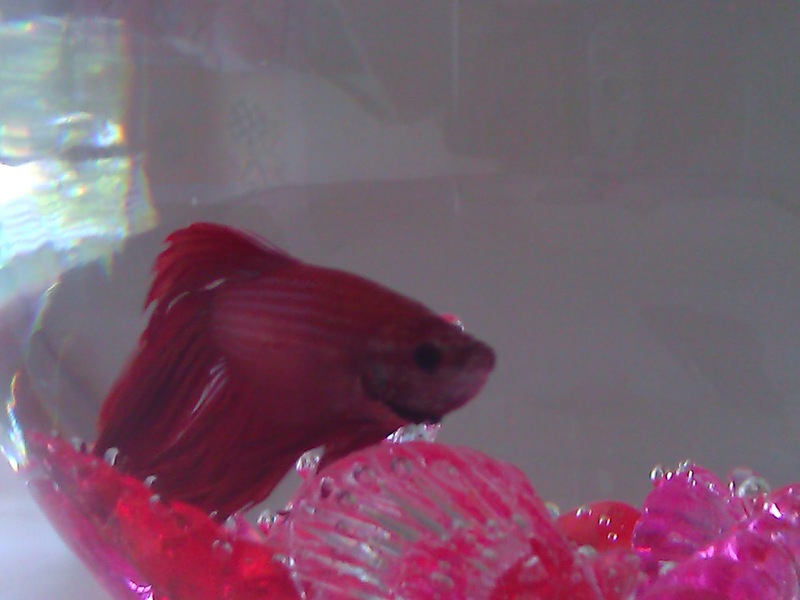 So far Lightning is doing okay. For Shiloh's sake, I so hope he lives out his full 2 year life span! Pin It Now! 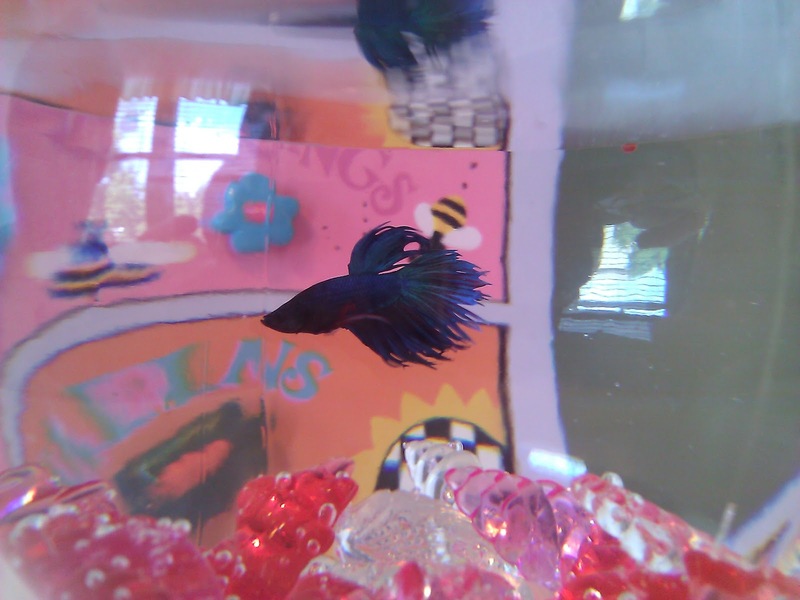 This household hasn't had a pet in about 12 years. We came very close to getting a puppy (me still pretty reluctant) a few months ago, but it ended up not working out. Now we are renting and can't have a dog. So, I am off the hook on that one for at least a couple of years! Today was the BIG day for the Shiloh girl! 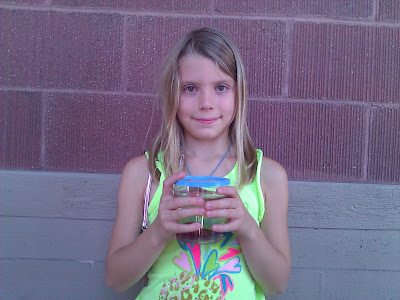 After saving for a few weeks and adding up a bunch of change from grandparents, she was able to buy her fish and all the supplies. Introducing . . . Fire Rae! 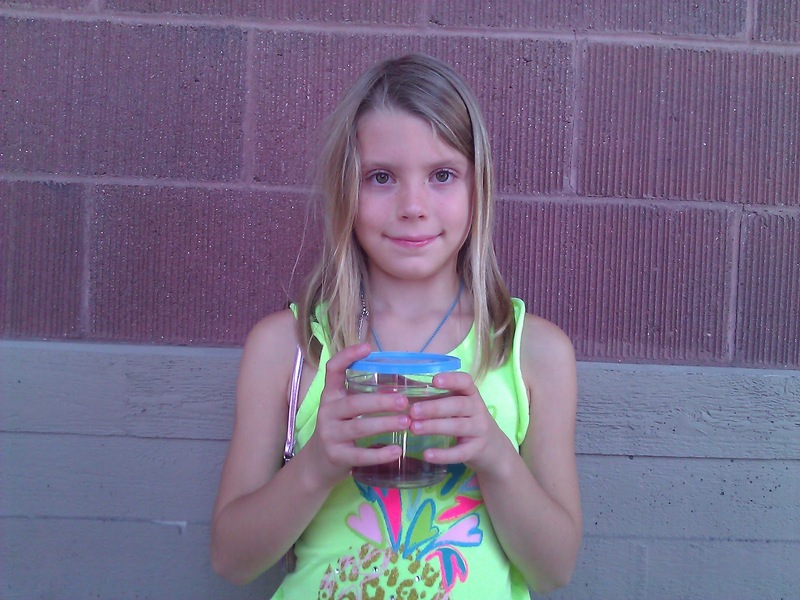 It was quite the event for the whole family going to a pet store and all. So, what's been going on at this fine institution of all things wise and wonderful? 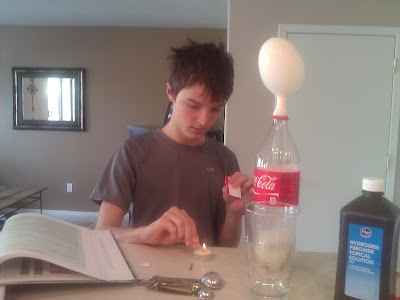 Well, I can tell you one thing - I had a moment the other day when my oldest was doing a science experiment that involved glass and fire, and he casually mentions, "Just to let you know, the glass might explode." 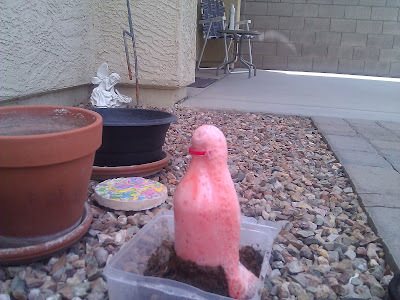 Actually, this "lava" flowing down the sides of the "mountain" is a bit of a misrepresentation of what happened in Pompeii since most of the magma was suspended above the people's heads like a giant mushroom. It was the ash, debris, hot air, and toxic gases that ended so many lives in a split second. But anyway, it was a fun project nonetheless! The images of people and animals frozen in time is quite interesting to see. 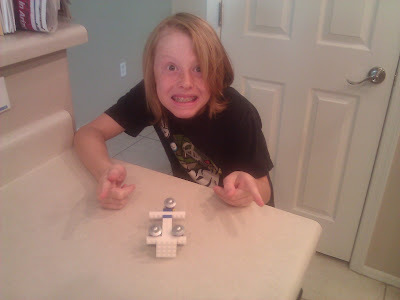 My fifth grader chose a simple, not-very-messy project. (My favorite kind! I know. . . I will never win the Homeschool-Mom-of-the-Year Award.) He created a battering ram, a weapon the Romans used, out of Legos® to go along with our lesson on Masada. Well done children! Now that the first few weeks are over, I can say with confidence, "I look forward to many more amazing homeschool days with you!" Pin It Now! I do not like chopping nuts with a knife. I just knew there had to be a better way - besides buying the pre-chopped ones. :) I buy a certain kind because of my son who has a peanut allergy. BUT ANYWAY . 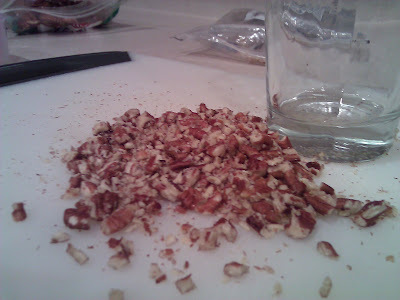 . .
Nut Chopping Tip: use a glass and crush the nuts instead! I usually start with the bottom of the glass but may turn it over to cut a few nuts that are still too big. It's so simple, and it works for me. With the holidays just around the corner, I am sure I will be using this method a lot! Chopped pecans are used to make this amazing dessert - great for potlucks and fun to change the m&ms according to the holidays. Pin It Now! 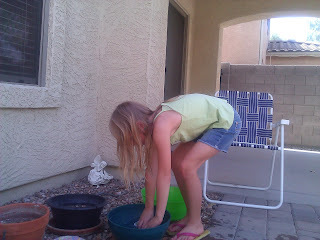 I remember doing this very same thing in my Arizona backyard when I was her age. 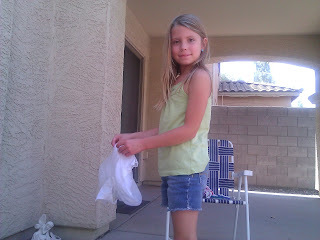 I loved washing my baby dolls' clothes in my mom's cleaning buckets and hanging the little outfits on my swingset to dry. Sweet memories. 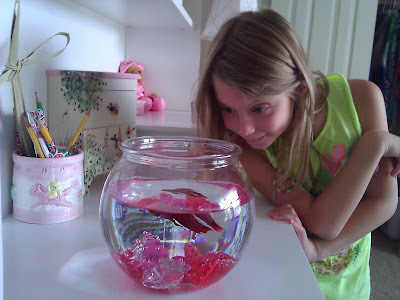 My daughter has definitely played with lots of dolls off and on, but she prefers animals. 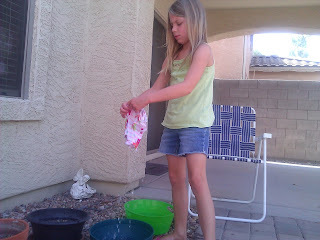 So, here she is washing Peace's and Minnie's clothes. (Her bear and koala from Build-A-Bear.) I can't wait to do some Christmas shopping for her at that store. :) Fun, fun! Apologia has generously sent their book, I Don't Have Enough FAITH to Be an ATHEIST to members of the Schoolhouse Review Crew. We also received copies of the companion workbook which serves as Apologia's first apologetics curriculum for highschool students. The authors show that many scientific laws and principles such as The Law of Noncontradiction, The Law of the Excluded Middle, The Law of Causality (the fundamental principle of science), the First and Second Laws of Thermodynamics, General Relativity, and the Anthropic Principle point to the fact that God exists. As we become more technologically advanced, it's becoming more and more difficult for scientists to explain away the evidence. They resort to coming up with bizarre theories that are purely based on blind faith. No evidence whatsoever. As you will see when you read this book, Christianity is far from being based on blind faith. In fact you will see that it really does take a whole lot more faith to be an atheist! 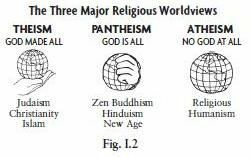 The authors explain in the introduction that most of the world's major religions fall into one of three religious worldviews: theism, pantheism, and atheism. They are explained in detail in the book, but the image on the right provides a quick and easy way to remember them. Agnosticism is also discussed in the book. 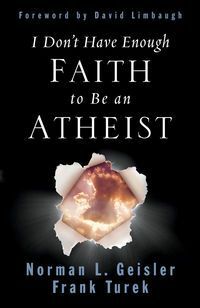 I feel so blessed to be a part of this review as this curriculum is proving to be an excellent resource that logically and scientifically builds a solid case for Intelligent Design while revealing the fatal flaws of atheistic and pantheistic worldviews. 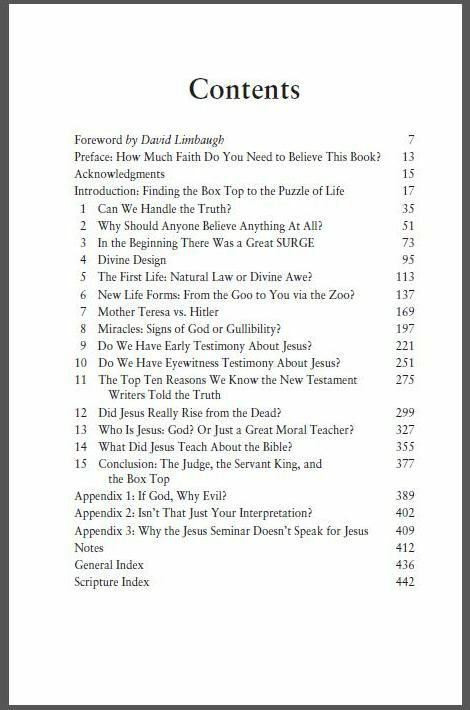 To get an idea of the material covered in the book, take a look at the Table of Contents below. Click here to read a sample chapter from the book. When I first started reading the book, my plan was to complete the assignments in the workbook, too. However, after reading the first chapter and doing the workbook, I quickly realized that I wasn't going to get very far if I kept at that pace. For review purposes I wanted to get through more than 2 chapters! From then on I just took notes and underlined passages as I read. I made it through chapter 5 - it's meaty stuff! You'll learn that truth is discovered - not invented - and that it's absolute, exclusive, and knowable! With the Roadrunner Tactic, you'll become an expert at identifying and refuting self-defeating statements. You'll see how truth is known by using the self-evident laws of logic and by observing the world around you through induction. When the theory of General Relativity was confirmed to be true, you'll witness the irritation of a very well known scientist who had to admit that the universe had a beginning. Moving on, you'll be exposed to persuasive evidence (anthropic constants) that point to a Divine Designer - God. 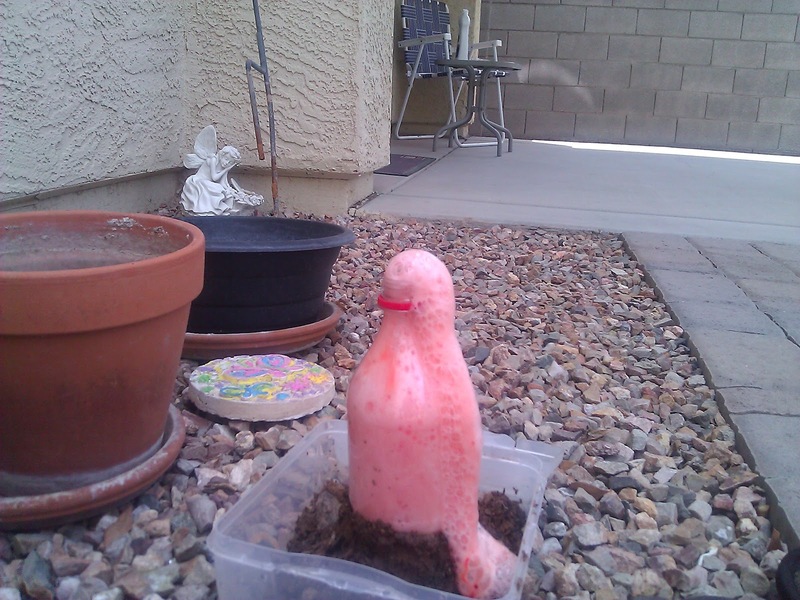 And finally, you'll see up close just how unbelievable the idea of spontaneous generation is! And that's just from chapters 1-5. I can't wait to read the rest of the book - won't you join me? It is suggested that students should spend about 2-3 weeks on each chapter. This should allow plenty of time to complete all of the study questions and assignments. According to this schedule, the course can be completed in less than 9 months. 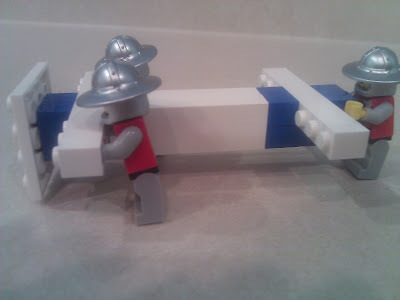 Each chapter in the workbook is divided into 4 main sections: Hook, Book, Look, and Took. Hook: This section provides friendly reminders of what was talked about in the chapter and often includes a few questions to get your brain juices flowing. Book: Here, you'll dig a little deeper, and your knowledge and comprehension will be tested with questions from the textbook. Look: The authors don't want you to just take their word for it. Research assignments and activities will encourage you to check out information presented in the book for yourself. Took: This section summarizes the material and helps you apply the concepts in the book to your life. Hook, Book, Look, and Took are basically the meat of the workbook, but there are also other components. At the very beginning of each chapter, you will be informed of which points in the road map of the "Twelve Points That Prove Christianity Is True" will be covered. Key Topics discussed are provided and so are Key Terms which you will be asked to define. Also, sometimes certain topics mentioned in the book are expounded upon in the workbook to help you understand the concepts better. A few of these include Einstein's Theory Of General Relativity, The Second Law Of Thermodynamics, The Anthropic Principle, The Dead Sea Scrolls, and Nontheistic Religions. Not only are these extras helpful, they are interesting to read. 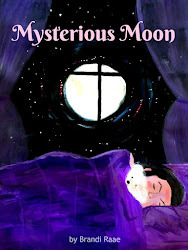 You can view a sample chapter in the workbook here. As I close, I think it is wise to note that the authors make it clear that they do not believe that evidence alone can convert a nonbeliever to a saving faith. The information in the book is still important, though. As C.S. Lewis put it, "good philosophy must exist, if for no other reason, because bad philosophy needs to be answered." The workbook is also listed on the website for $33. See what other Crew Members are saying here. Vocabulary Spelling City is a great online resource for all school aged children whether they are homeschooled or not. 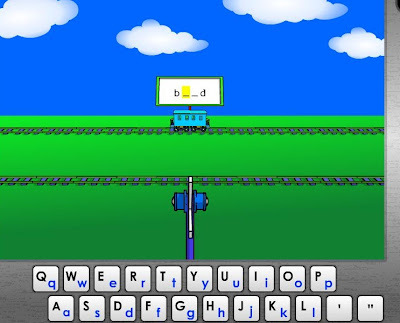 Students can practice spelling and/or vocabulary words by playing games and completing online or printed worksheets, and more. I've been using Vocabulary Spelling City with my kids for a few years now, though not as a premium member. So, my kids and I didn't have access to all of the activities and teacher resources - just the free stuff. I was mostly using it as a study tool, and my two older children would actually take their weekly tests on the website. I liked that it freed me up from having to call out words and from sometimes having to try to come up with sentences to words that were even difficult for me! Take a moment to watch a short video (first one under Getting Started) in which Cara, a fourth grade teacher, gives an overview of Vocabulary Spelling City. 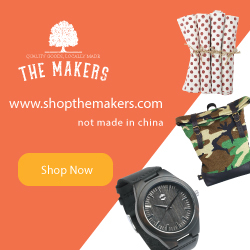 While the site offers a generous amount of free activities, I have often pondered setting up a Premium Membership account because of all the extra benefits. 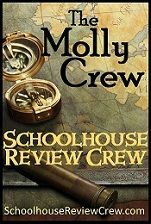 I was thrilled when I found out the that Schoolhouse Review Crew was offered a chance to review one! For families (up to 5 children), the cost of a Premium Membership is $29.99 per year. For classrooms (up to 25 students), the cost is $49.99 per year. Incorporating Vocabulary Spelling City's Premium Membership into our daily homeschool routine has been so simple and quite natural. I especially like that my children can now log in separately and view their assignments for the week (that I have chosen in advance), and get to work! As a parent, I can log in to my account and create spelling lists for each of my children. For my 5th and 2nd grader, I use spelling words from curricula we already have. Since my 8th grader currently doesn't have a spelling curriculum, I choose from existing lists located in Teaching Resources. After you title the list and enter the spelling words, you need to make sure that you save it. After I create the spelling lists for the week, I go to Assignments in the Premium Teacher Toolbox located at the top, right-hand corner of the page. I click on Create A New Assignment and select a word list from the lists I have already created. For that word list I can select activities, assign to a particular child, and add assignment details such as special instructions and a due date. Here's a link to all of the activities. After I am finished, my children can log in separately and view their assignments. Even my 7 year old can log in and complete assignments on her own. I can log in to my account and check my children's progress at any time. On Fridays my kids usually tell me what they made on their tests, but if I want to double check, I can look at the grade book under Student Records. Language Arts Lessons which include video lessons, worksheets, themed lists, and more. Useful Word Lists which include lists for students in grades K-12 and various themed lists. Articles which include helpful information about teaching spelling, tips for improving writing, and more. Help and Information which include FAQs, training videos, and more. Overall, having the Premium Membership is saving me loads of time! I will still spend some one on one time with my 2nd grader for spelling, but I love that many of her assignments can be done on her own at Vocabulary Spelling City. While she isn't quite ready for the writing assignments, I like that my 8th grader can practice writing sentences and paragraphs here. My 5th grader has chosen to continue using his current spelling program, but he takes all of his tests on Vocabulary Spelling City. I highly recommend Vocabulary Spelling City! See what other Schoolhouse Review Crew members had to say.